JanetFaye, LuvDayLilies, Margeret & Civ05, Your Information Was Received & Books Should be Coming Soon! JDaniel4's Mom, please contact me by end of day today! Thanks! 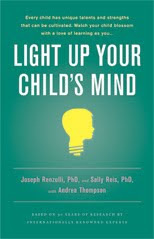 I had the great opportunity from The Product Review Place and Hachette Book Group to read Light Up Your Child's Mind by Joseph Renzulli, PhD and Sally Reis, PhD. I took an interest in reading this book mostly because I have three children at home. They range in ages from 2 to 21 so I wanted to see if there was anything I could have done differently to invoke some creativity in the oldest one's mind. I've grown myself since those early days with her so I can look back and reflect on what I can offer and provide both from a more mature level as well as from a resource perspective. I encourage the creativity in my children mostly because I'm creative myself or at least I like to think I am! Talking to my dad today, I learned that I got it from him and they got it from me most likely. My middle child is currently pursuing writing, acting and many other artsy type hobbies. She's a natural and where she lacks in memory (I think due to epilepsy medications), she gains in having a wonderful ability to create almost anything. What I liked about the book is what many parents, I would think, don't realize and that is that schools are so busy building, teaching and sticking to assigned schedules and requirements that they don't have the time to tap into each child's unique interests and desires. This is by no means the fault of the schools but as parents, we have the ability to show our children the way through many opportunities. 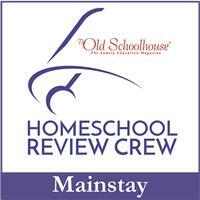 It provides direction in how to guide your child versus pushing and directing their interests. It gives suggestions on how to spark an interest and how to pursue the interests. I think we all remember the kid in school that had the most incredible looking projects and you knew their parents helped if not created the entire project. This method advocates tapping into the source by instilling excitement and interest without pushing. I highly recommend this book as a great way to educate yourself on how to spur creativity in your child. It's a great resource to teach both you and your children on how to tap into the hidden passions and carry forward in a healthy, productive manner. Hachette Book Group is offering this wonderful opportunity to allow five of my readers a chance to receive their own copy. All you have to do to enter, is leave a comment. Leave an extra comment after each activity to let me know you did. Giveaway ends September 30, 2009. Being a junior high reading teacher....I would love this book!!!! I already follow you, that's how I found out about the giveaway! This looks like a great book. Thanks for the givewaway. I would love to win this for my daughter. She has two little ones who could benefit! Sounds like a great book, I'd love to get it! If it has suggestions for the older kids, count me in! Thank you! Please enter me, it sounds like a really good book! I'd love to win this book... I volunteer as a teacher in a religious studies/after-school program with children from a myriad of backgrounds and this would give me the opportunity to educate myself and help these great kids reach their potention. Please accept this as my entry. Thank you! This would be great for me to encourage our 2 year old to find the creativity within and hopefully work out some of that "I don't know what to do with myself energy". I have enjoyed his other books. 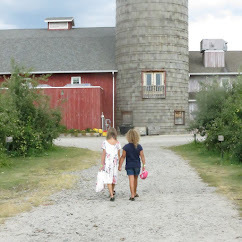 As the father of 4 kids, I am always on the look-out for any new ideas on how to expand the minds and help my kids grow to their greatest potential.